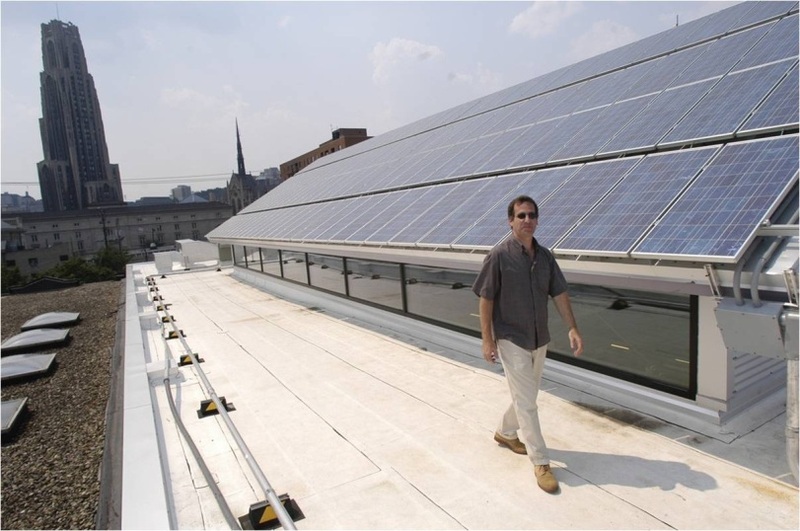 The solar panel roof installation on South Craig Street was part of a $88,000 Energy Harvest grant from the Pennsylvania Department of Environmental Protection. The solar panels feed directly into the buildings power supply as part of a way to cut down on the amount of fossil fuel used by the building. View Live solar data here.